I absolutely love Chicago! 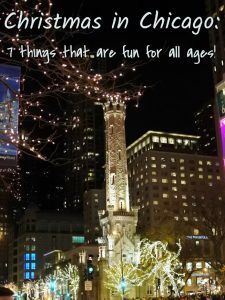 It is a great city full of things to see and do year round. However, spending Christmas in Chicago is just the best. 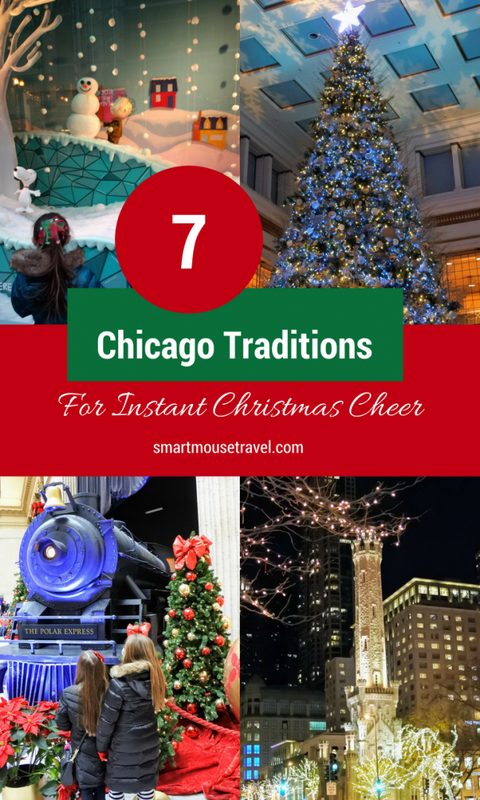 We live nearby and do several Christmas activities in Chicago each year. Here is a list of our absolute favorites – the ones we do year after year because they are so magical. 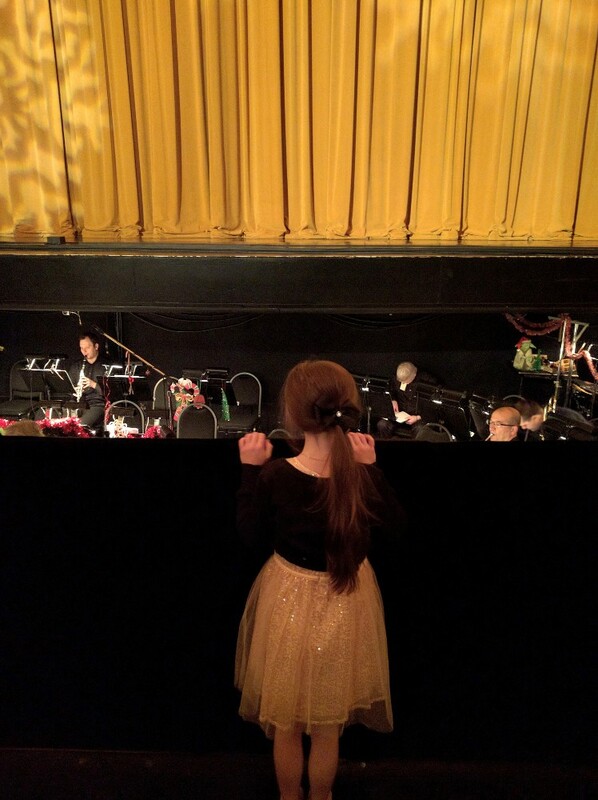 Seeing The Nutcracker has been a beloved tradition for many families over the years. We used to go when my brother and sister were young, and now I take Elizabeth every year to experience this classic. The previous choreography by Robert Joffrey was retired at the end of 2015. A new version of The Nutcracker choreographed by Christopher Wheeldon debuted December 10, 2016. We saw this version as well and enjoyed it in different ways than the classic Clara story line. This version of The Nutcracker seemed more accessible for someone attending the ballet for the first time, but still beautiful for those who love ballet. The new story line follows a young girl living in Chicago as the city prepares for the upcoming World’s Fair. Although a science museum probably doesn’t make you think of Christmas in Chicago, it should! 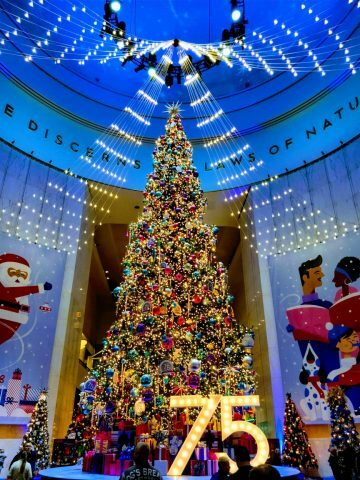 Each year since 1942, the museum has celebrated the Christmas season by having trees decorated in the traditional style of many nations around the world. In the 2017 Christmas season there were over 50 beautifully decorated trees and displays. And while you are here make sure you look around at the other incredible exhibits the museum has to offer. 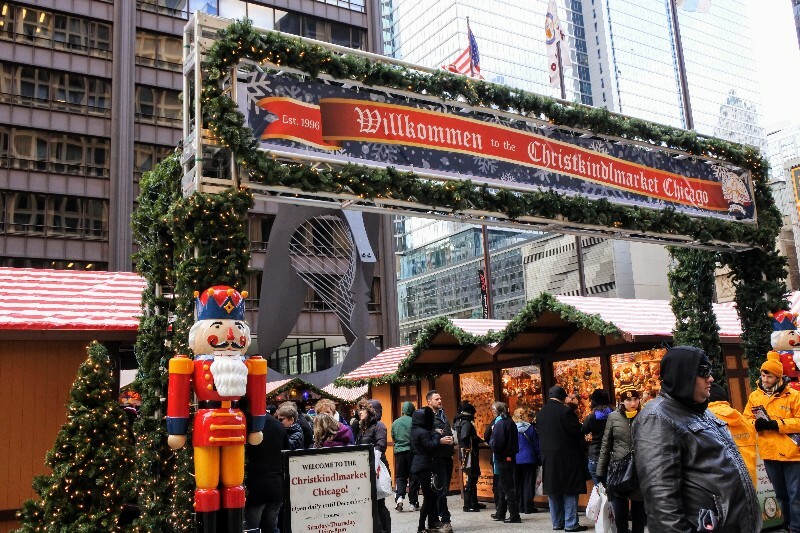 The Chicago Christkindlmarket first opened in 1996, but since then has expanded and moved to its current location at Daley Plaza. There are dozens of artisan vendor booths with gifts and ornaments plus traditional German food booths. The closer it gets to Christmas the more crowded this market becomes, but the hum and excitement of Christmas is like no other. Relive the wonder and fun of this Christmas classic. 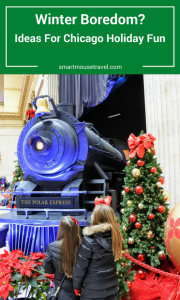 The Polar Express is a fun family event taking place in Chicago each year. Elizabeth and her friend had a wonderful time. 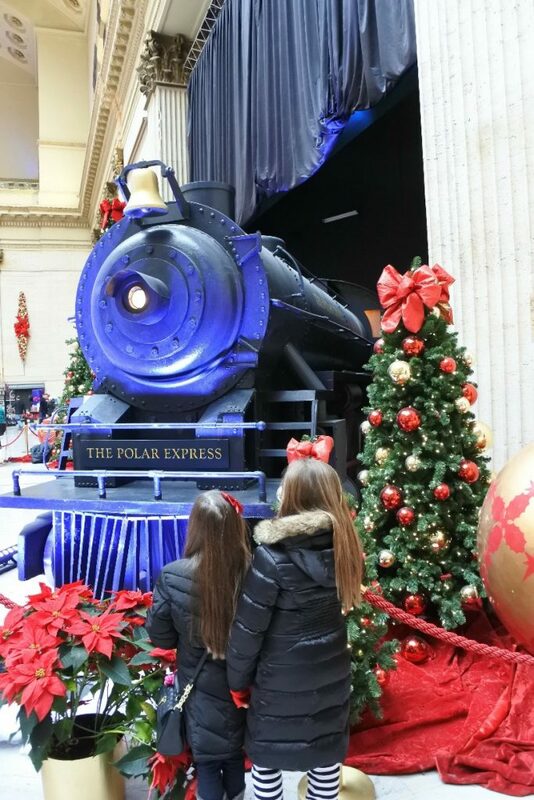 The magic begins when you enter Union Station and see the model Polar Express train in the grand hall. When you board the Polar Express there are Christmas trees and snowflake lights decorating the train station platform. The ride is about one hour long and you really don’t see any sights, but I wasn’t looking out the windows anyway. There is singing, games, hot chocolate, cookies, a visit from Santa and the Polar Express story read on board. We really enjoyed the event. Macy’s on State Street is housed in the old Marshall Field’s building. This traditional department store has many things to do at Christmas in addition to the usual shopping. 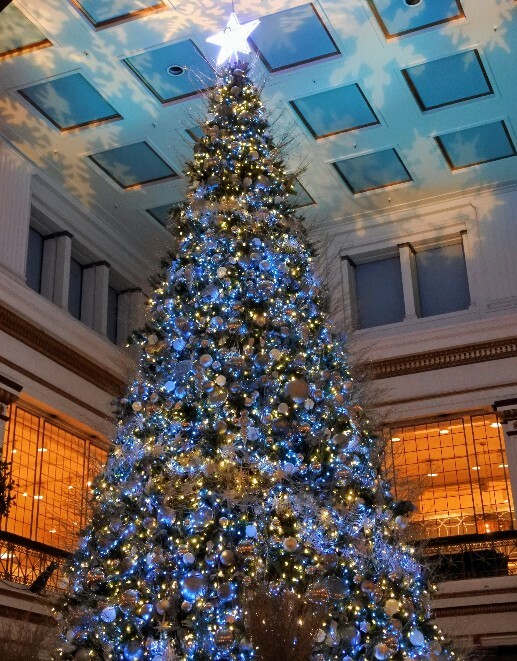 You can eat at the Walnut Room near the 75-foot Christmas tree. Please note that no reservations are accepted around Christmas, but same day pagers allow you to shop while you wait. I encourage you to buy some classic Frango mints while waiting for your table. What are Frango mints you ask? The most delightful bite sized chocolate mint candies you dare hope to find (although there are other flavors available which are good, too). 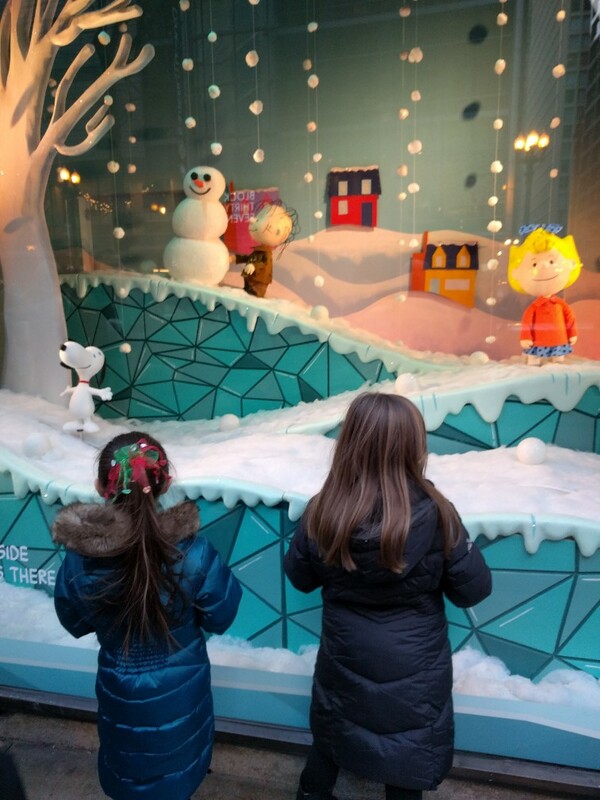 Make sure you also explore the outside display windows decked out in Christmas decor, and visit Santa at Macy’s SantaLand. Lincoln Park Zoo (located in Chicago) and Brookfield Zoo (located in the Chicago suburb of Brookfield, IL) both have impressive night time Christmas light displays. Enjoy the lights and also make sure you check out what the animals are up to at night when the zoos are usually closed. 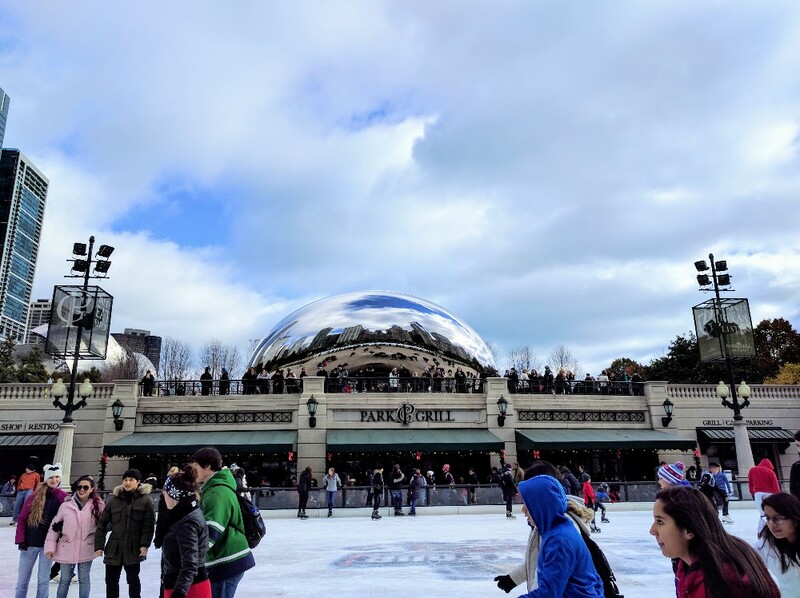 Did I miss any of your favorite Christmastime in Chicago activities? If so comment below! Previous Post:Road Trip to Disneyland: Pan, Tink and Hook, Oh My! I just enjoy your posts so much. I should have known there would be one for Christmas! There is nothing that compares to the experiences that you put together. You spend so many hours of research to provide a magical and unforgettable experience. I know first hand and appreciate your diligence and skill in planning these wonderful trips. Thank you, my wonderful daughter!